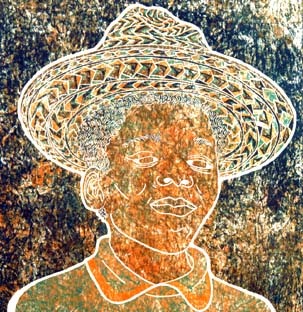 A young African American man child in a hat. Printed on Kinwashi, a tan Japanese printing paper with visible plant fibers embedded in the paper. Edition size: 10. Zero Artist Proofs. 21" x 22"